Surely if it's a player edition it should be Ben Stokes weight or close to. But they put a piece of timber through the machine and it repicates the shape that's it? Fair enough if you want to spend your money on that kind of thing I guess. GM must be pretty confident the ginga ninja is gonna get off by the way! GM must be pretty confident the ginga ninja is gonna get off by the way! Wonder if it’s got a bow in it? Im not sure on this model, but gm bats in standard and player edition are made to 2-10. Natural density dictates what weight the bat will turn out to. I was told the players model range from 2-9 to 2-11. The players models I’ve had in have been around the 2-9 1/2 Mark. I’m not sure the expected weight of these stokes player editions but I’m presuming they will be made again in that weight range. @Six Sixes Cricket if gym ever offer you or say they have one of this at 2.14/15 then give me a shout. Not really looked at any of them this year. Any players edition really. Only time I’ve found one in that wait was a shame Watson flare years ago. Has there been a confirmed price list for the range? Pretty sure if i asked them for one in 2.14/15 they would make it, no problem. Players Model £520, RRP £650. 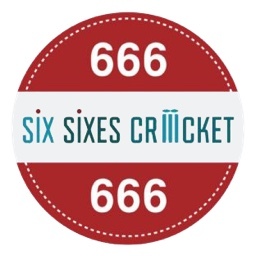 @Six Sixes Cricket excuse the thick question, but are the Signature LE and Signature models going to be in the same shape as the Players Edition? Basically, will there be a "Stokes shape Zelos range" along side the standard Zelos shape? GM’s DXM technology allows a precise replica of Ben’s Zelos Phase 1 Player Edition Bat. Our unique DXM Computer Aided Manufacture process produces bats to the precise player profile and dimensions. Only 55 of Ben’s Launch Specification Player Edition bats will be made. Each is crafted from a very select limited availability LE grade English Willow. The bat is finished with prestige laser engraved signature and Limited Edition identification number. Each Phase 1 Player Edition bat is supplied with a unique full length bat cover embroidered with Ben Stokes Signature and Player Edition logo. Player Edition Bats are individually tested to ensure 5 Star performance, are fitted with top quality treble spring multi-piece cane handles for outstanding feel, flex and control. GM NOW! and ToeTek™ finish is fitted as standard. Player Edition bat weights cannot be specified and will be “as finished”. Ben’s Specification is L555 blade length, mid to low sweet spot, 66mm Spine, 39mm Edges, full back profile with no concavity. GM Player Edition bats already have an outstanding global reputation both in the professional dressing room and with amateur cricketers. Ben Stokes version adds to this glittering portfolio. Each Signature LE Launch Edition Zelos bat is supplied with prestige laser engraved Ben Stokes Signature and a unique bat cover embroidered with Ben Stokes Signature and Launch Edition logo. Signature LE bats are crafted from prime unbleached seasoned and selected Grade 1 straight grained English Willow with colour on one edge. They are fitted with a top quality treble spring multi-piece cane handle for outstanding feel, flex and control. GM NOW! & ToeTek™ finish are fitted as standard. Each Signature Launch Edition Zelos bat is supplied with prestige laser engraved Ben Stokes signature. They are crafted from seasoned and selected unbleached Grade 2 English Willow and fitted with good quality treble spring cane handles. They are going to sell lots of these! What's the Phase 1 thing about? Will there be a Phase 2? Page created in 0.654 seconds with 41 queries.